Walk down the historical lanes of one of the most pivotal battles in the Asian and British history! A decisive battle responsible for the advent of British rule in India. 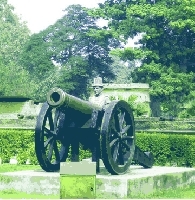 Battle of Plassey was fought between the British East India Company and the Nawab of Bengal. Under the commandership of Lord Robert Clive, the British won this battle and soon thereafter declared Kolkata as the official capital of British India.